The Hunted is a supernatural fiction exploring the vampire genre with added elements containing magic and fur-backed creatures of blood gorging habits. The novel explores a strong, female heroin; sassy and genuine, encumbered by a severe problem with authority. Supporting characters are complimentary, humorous and with individual agendas that expand the story’s base into an exciting, horror-filled spectrum all softened with a hint of romance. 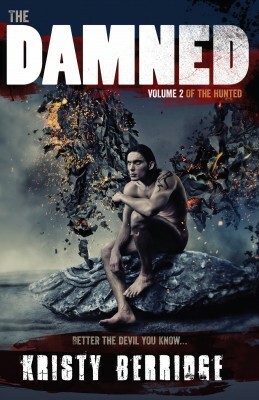 The Damned is the continuation of The Hunted; the second novel in The Hunted Series. It’s supernatural fiction wiping the floor in genre culmination. Angels, demons, vampires and werewolves have never been explored with such enthusiasm. Our female heroine Elena Manory takes the lead once more, expanding horizons and tempering her unique attitude to evolve into adulthood. New characters make an appearance that set the scene for future plot diversions and terrain that incorporates more action, more violence and a sexual tension that’ll make you writhe for more. A humorous undertaking of the zombie genre exploring the ludicrous world of teenage girls that wear tiny outfits while eating door-to-door salesman. Katie Palmer not only makes you look at steak with fresh eyes or laugh out loud at her appalling table manners, she’s a refreshing approach to a character not often explored; heroine versus villainess. Diary of a Teenage Zombie is a horror tale filled with endless plot twists and realistic approaches to matters of the heart. 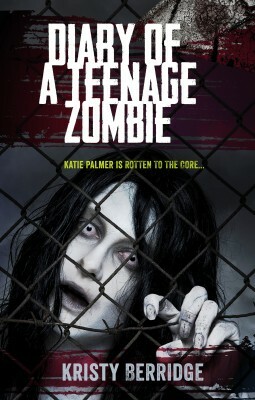 The tale of Katie Palmer will have you retching, I mean reaching for more zombie fiction to whet your appetite. 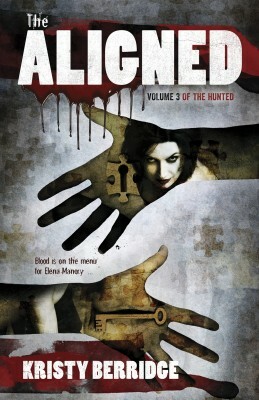 The Aligned is the continuation of The Damned; the third novel in The Hunted Series. This action-packed supernatural fiction follows on with the story of Elena Manory and her interaction with the fictitious characters from our dreams and nightmares. Questioning morals are exhibited frequently and choices are numerous and not without consequence. Humour is still scattered through Elena’s unique interpretation of most situations and relationships developed between both friends and love interests. Light-hearted and ridiculously relatable, 100 Days of Happiness will have you clutching your stomach and questioning the truth in every unfolding experience. Realistic in its approach to life’s mishaps and mayhem, the characters explore the unthinkable while navigating a minefield of emotions that unearth relevant lessons and unending tales of depravity. It’s a must have for anyone looking to stretch the imagination and drive the senses wild. 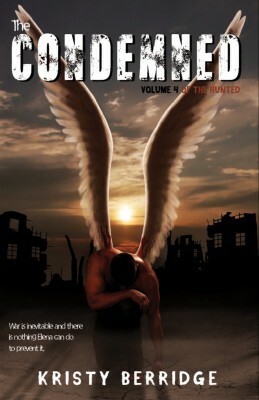 The Condemned is the fourth novel in The Hunted Series and a serious test of wills for all characters concerned. Elena has gained control of her werewolf and vampiric natures, stumbled upon a depth of emotion for her long-running love interest (Sebastian Marcellus) and found a way to finally be reunited with her brother Lucas. War is the word on everyones lips and never before have all the characters been united towards a common goal; to save someone they love. The Condemned explores graphic action, disturbing plot twists and a climatic ending that leaves you questioning the choices of the protagonist and begging for the release on the final chapter of this scintillating series.